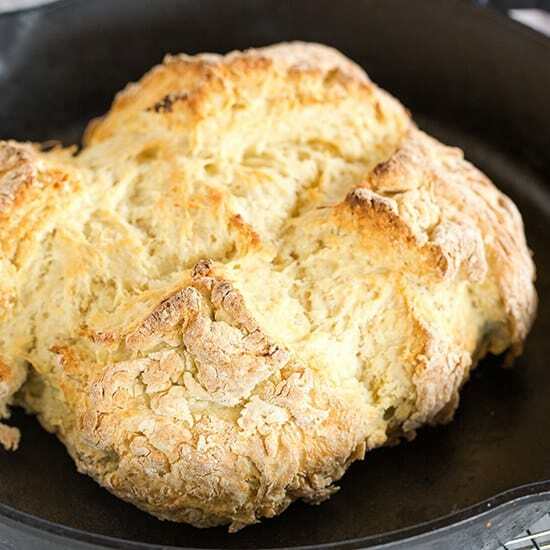 This Irish Soda Bread takes less than 10 minutes to mix together and comes out of the oven with a wonderfully crisp crust. Grab a slice warm from the oven and slather it in butter! Are you wearing green today? Drinking a shamrock shake? Eating corned beef and cabbage? Or are you saving your celebration for this weekend? 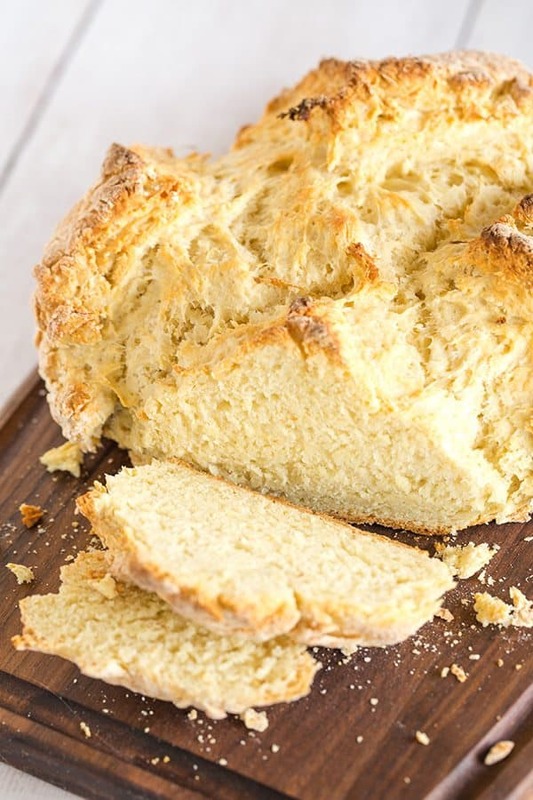 If you do nothing else, I implore you to make this super easy Irish soda bread recipe! 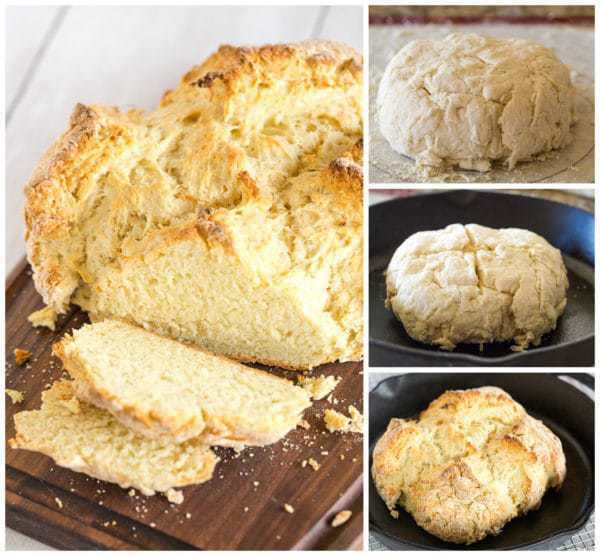 I’ve made a ton of variations on traditional Irish soda bread over the years – scones, brown bread, whiskey soda bread with Irish whiskey butter, and rye soda bread – however, this original classic version continues to be my absolute favorite. It bakes up with a fabulous crisp crust and a light, tender crumb. It’s the perfect vehicle for slathering on embarrassing amounts of Kerrygold butter. 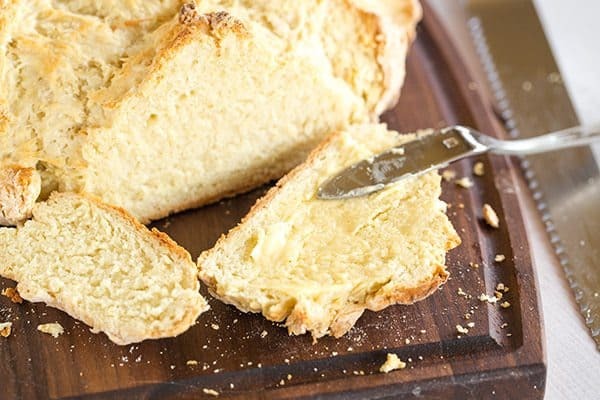 Have you ever read about the history of Irish soda bread? So interesting! It came about as a result of Ireland not producing grain with a high enough protein content to work successfully with yeast. However, the lower protein content resulted in a softer flour that worked exceptionally well with baking soda and together could product a beautiful rise. I was always under the impression that Irish soda bread contained raisins or some sort of dried fruit and caraway seeds, but from what I’ve read, this is an Americanized version of the bread and traditionally it only included four ingredients: flour, baking soda, salt, and buttermilk. This bread could not be any easier to whip up, so hurry – get into the kitchen and you’ll have a warm loaf of bread ready for you to devour in an hour. One bowl, a whisk, a fork, and some light elbow grease is all you need. I love the rustic nature of the bread and how hearty it tastes. 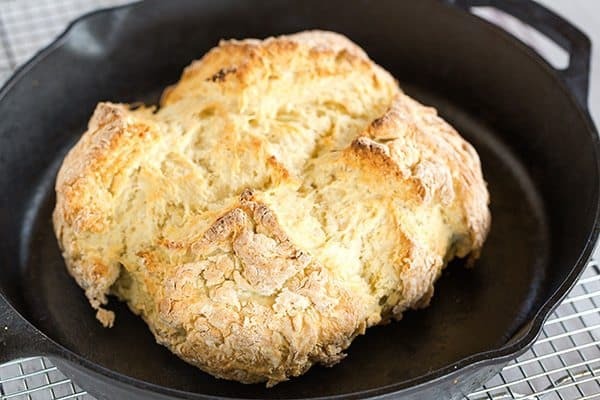 If you have a cast iron skillet, by all means, use that to make this bread! The crust comes out substantially crisper, which I just love. If not, you can use a regular baking sheet with parchment paper and it will still be fabulous, but the cast iron definitely works some magic on this bread! Would you think less of me if I told you that my husband and I polished off half of this Irish soda bread for lunch? It’s seriously irresistible. I love eating it plain, or with loads of butter. Leftover pieces are great popped in the toaster oven at 350 degrees F – the outside gets nice and crisp, and the inside remains soft and warm. Adjust an oven rack to the upper-middle position and preheat oven to 400 degrees F.
In a large bowl, whisk together the flours, sugar, baking soda, cream of tartar, and salt. 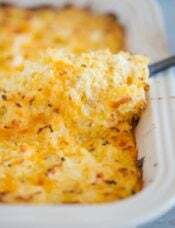 Work the softened butter into the dry ingredients with a fork or your fingertips until the texture resembles coarse crumbs. Pat the dough into a round about 6 inches in diameter and 2 inches high; place on a parchment-lined baking sheet or in a 12-inch cast iron skillet. Score the dough by cutting a cross shape on the top of the loaf. Bake until the loaf is golden brown and a skewer inserted into the center comes out clean, or the internal temperature reaches 180 degrees F on an instead-read thermometer, 40 to 45 minutes. Remove the loaf from the oven and brush the surface with the melted butter. Cool to room temperature before slicing, about 30 to 40 minutes. 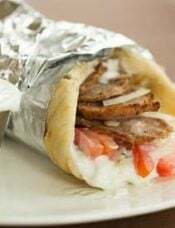 Leftovers should be wrapped in plastic wrap and stored at room temperature for up to 3 days. 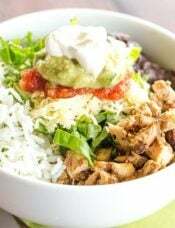 This recipe was originally published on March 18, 2009. Do you grease the cast iron pan before baking? Do you preheat Cast iron pan ? P.S. I made your bourbon cake and it was a hit. Now, I am going to make it again tonight with Irish whiskey. The whole point of soda bread was the simplicity and availability of the ingredients. I suggest you remove the reference to “classic” because, it’s simply not. The addition of things like raisins, sugar, etc. is more of an American thing. Turned out great! I used my biscuit technique of grating frozen butter with a cheese grater instead of cutting in – just seems quicker to me. I left out the one cup of cake flour until turning out and kneading (in retrospect, I think I’d leave out one cup of the AP flour for the turning instead), and like biscuits, I barely worked the dough. With this loaf, I do wish I had kneaded just a little bit more than I do with my biscuit technique; 12-14 turns mentioned in the recipe didn’t seem to be quite enough, so when cutting with a knife, the loaf isn’t quite supported enough in places and a few pieces would break off. I would definitely knead a bit more to make the loaf more cohesive, but my biscuit technique starts the kneading process with a very wet dough, almost a batter. The flavor, crumb, texture, baking time and temp etc was all perfect! Hands down, the greatest soda bread I’ve ever had , let alone made! I didn’t have cream of tartar, so used baking powder with an extra 1/4 tsp of soda. Fantastic recipe, thank you! P.s. I made it to take to st pattys corned beef and cabbage @ a friend’s. I made a half batch with raisins and caraway seeds (because we couldn’t wait!) Exquisite! Had to add some extra butter to get more of a coarse crumbs texture, but the bread still turned out great. Also substituted milk with lemon juice for the buttermilk. The intro refers to slicing a warm piece right out of the oven and the total time is 1 hour but the recipe says to let it rest 30 to 40 minutes after baking. Does it need the resting time to finish baking or can it be eaten right away? Thanks! Hi Diane, As with all bread, it’s best to let it cool to room temperature before slicing so it sets up properly, but sometimes I just dig in because warm bread is so wonderful! 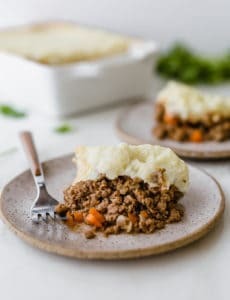 I made this recipe this morning before work because it’s so quick! I’d never tried soda bread before, but I like it. I combined all the dry ingredients last night, and this morning combined in the softened butter and buttermilk. The crust from baking it in my cast iron was perfect. I did use a 10-inch, and while the loaf does expand, it didn’t encroach on the edges. I actually read the recipe out of the Cook’s Illustrated Baking Book (the updated Baking Illustrated), and per the recipe ended up needing a full 1 3/4 cup of buttermilk, so if you find some of your flour at the bottom of the bowl not quite getting in there, this might be why. 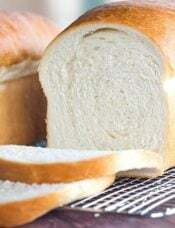 This is wonderful bread Turned out perfectly – easiest recipe and best results so far!Most Helpful!!! I am curious what the addition of cake flour to this batter does? I actually have some cake flour I bought on sale because I’ve always wanted to use it – I am curious what’s different about it. But I am curious what it adds/gives to your Irish bread batter. I haven’t had soda bread in a long time and sometimes when I’ve purchased in the store it’s terribly “dense” and overall too dry. I am curious if the cake flour adds some softness to it. If you had time to let me know, I’d be grateful! PS Your little boy is a darling!!!!!!!!!! Lucky you!!!!!!! Your soda bread looks and sounds wonderful. 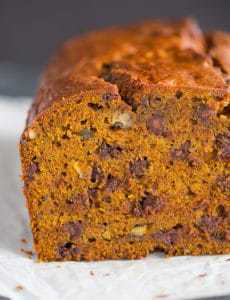 Over the years I’ve had many different recipes, most with raisins, with and without caraway seeds. I find that I prefer a bit of sweetness in the bread. I made a recipe one time and on a whim, added some honey. It was delicious! I wish I still had that recipe. Happy St. Patrick’s Day! Hi KC, Aw, thank you! 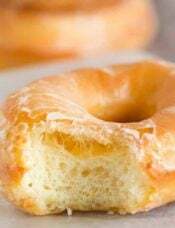 :) Cake flour has a lower protein content than all-purpose flour, which helps to give baked goods a softer, more tender crumb. Thanks for dredging up an old memory. WAY back in the late 1940’s my brother and I would come home from school, mix up a soda bread and had eaten half of it well before dinner. 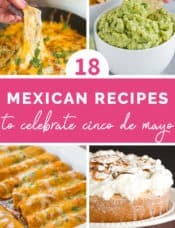 We did it the way Mom did and never had a written recipe. She was from Kilkenny and could cook anything! Anyone who says the Irish can’t cook never met the likes of her. Butter was scarce in those days so we used lard in the mix. We had real milk then which probably made a difference. We often put caraway seeds in but never raisins. We also never had cake flour or cream of tartar either. I have purchased bakery soda breads in recent years and they are not even close to the real thing. 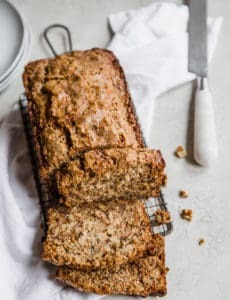 Your recipe sounds delicious but all you really need is flour, salt, sugar shortening or butter and caraway seeds if you like. 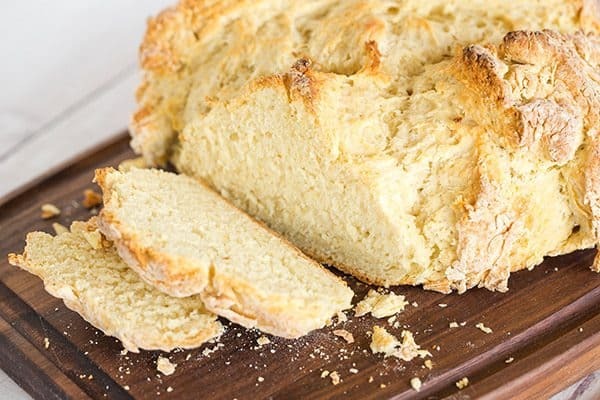 I have been thinking about trying Irish Soda Bread to go with the colcannon I’m making for supper this evening. How do you think this would bake up if placed in a baking cloche? A cast iron skillet its one kitchen “tool” I do not own :/ Also, I recently heard that toasting sliced Irish soda bread in the oven makes it very similar to biscotti and is delicious with a cup of hot tea or coffee. Have you tried that? Happy St Patrick’s Day! You can just bake it on a sheet pan. No big deal. If you toast leftovers They will be very good but i doubt they will get as hard as a biscotti, unless you burn the heck out of them. Toasted leftovers with lots of butter! YUM! Hi Michelle, I’m not sure, I’ve done it in a cast iron skillet and on a baking sheet with parchment. I reheated mine in the toaster oven at 350 degrees and it did get nice and crisp, but nowhere near biscotti. If you did it at a higher temperature, you might get that! I was just thinking this morning that it would be an appropriate time to update your Irish Soda Bread photos! I made this yesterday and it was one of THE best breads I’ve ever made! It’s so much better than when I bought one from the store. My husband called it ‘cracker bread’ which I think fits, the outside pieces are crunchy like crackers and it’s so addicting! Enjoying a piece with jam while I drink my morning cup of Joe and I know I’ll have a piece with butter later today. Thank you!